The Loren x Chris presets from Tribe Archipelago are some of my very favorite. 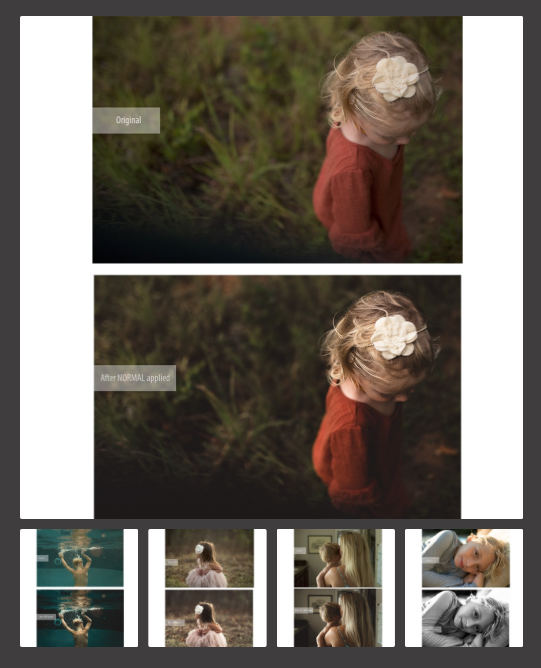 I love the softer colors, pale greens and film look of these presets. I find myself gravitating to LXC 01 and LXC 02 mostly and usually make minor tweaks with the orange saturation and orange luminance to soften/brighten skin. I also almost always remove the grain from my images (just a personal preference). These presets are typically my go-to presets for indoor newborn sessions. The softer tones really make these sessions seem dreamy and delicate. Just a few weeks ago, Tribe Archipelago released the next version of the LXC presets - LXCN. These presets are super similar to the LXC presets with the softer tones and paler colors, but seem to have a little more "pop" on the finished image. I also feel like the skin tones on these images are more polished and less saturated when compared to the LCX presets. I hesitated on getting this new set since I already had (and loved) the original, but I am so glad I finally caved and purchased LXCN. I feel like adding these presets to my collection gives me additional options for editing while remaining consistent across my images. Another preset favorite is the Film Me presets from The Blissful Maven. These presets are much more dramatic than the Tribe presets and I have found that I love using these with backlit photos. The "magic" and "fire" presets are perfect for rich and vibrant backlit images and the black & white "fearless" preset is perfect for dramatic indoor photos. These presets do have a lot of grain added to them, so I usually reduce that during my editing process. When I am looking for a clean and crisp edit, the Water + Light presets from Samantha McBride Photography are my go-to! The "normal" preset has perfect tones and enhances the light in images beautifully, while the "fill light" preset really helps boost shadows and make the light pop. The black & white preset in this pack is typically always the base for my outdoor black and white photos. And best of all, I find that these presets are usually just one click + done. I have to do very little tweaking to the colors or tones with these presets and you can't beat that when you have a zillion images to edit! Oh - and you can bet that I'm counting down the days until summer when I finally try these out on my underwater shots! I couldn't live without these presets! And I definitely couldn't pick a favorite. I love each of them for different reasons and usually mix them all into my session images. I try to keep the overall tones in my images similar (greens, yellows, oranges), but for the most part I mix and match as I edit. Some of my favorite "edits" have come from just trying out a new preset! So what about you? Do you use presets? Do you have a favorite? Want to pin this post? Just grab the image below!